Vulture Ear Buds with Mobile Device Stand combines dual function with a larger logo print area. audio jack fits most audio devices and Smartphones, extra long 39" ear buds cable. Overall size is 3 w x 1 1/2 h x 5/8 deep. Each unit is individually poly bagged. 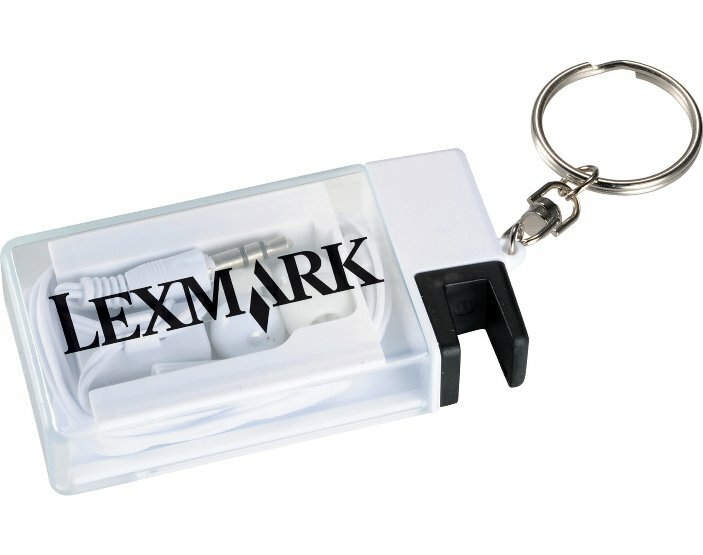 Price includes a one color imprint one side in area 1 3/4" w x 1 1/4"e; h.
add a setup and a running charge of $.35 each unit. Logos require factory ready ai, eps or pdf art file.